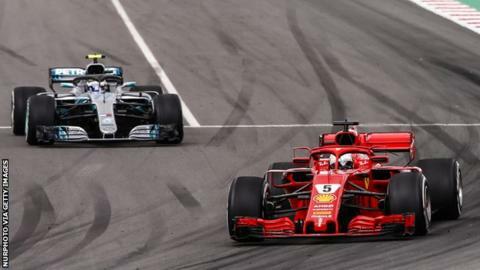 F1's head of motorsport said he was optimistic changes to the cars for 2019 would enable drivers to race closer together and pass more easily. "Until the cars run, we don't know what solutions [teams] have made, but from predictions we're achieving about 20% improvement," said 64-year-old Brawn. However, teams say their research does not tally with Brawn's predictions. A spokesman for F1 said that the "20% improvement" Brawn was referring to was "in the capacity of a car to attack the car in front". The changes - which involve a wider, simpler front wing and a wider, deeper rear wing - are aimed at reducing the amount of aerodynamic turbulence produced behind a car, and therefore making it easier for another car to follow closely. Team boss Maurizio Arrivabene said afterwards: "They were supposed to give more possibility to the overtaking. At the moment, the first feedback that I got from our driver is that most probably that objective is not achieved." "The point to stress is it's a philosophy and a culture, not just a one-stop solution," Brawn said. "If we don't achieve everything we want to achieve with these changes, we'll learn from it, press on and carry on with the next phase of changes - and we'll keep doing that until we get the cars in a form when they can race each other much more effectively, which they can't at the moment. "It's useful to see if the teams have been able to evolve and take different directions because we don't want to discover that in 2021." These are being kept under wraps but he said F1 and governing body the FIA had "issued a framework of what the car could be like with tasks for each team to look at aspects of it". Brawn added: "We don't want teams with a lot of resource to gain a march on those who don't. But it's a difficult balance because there is a perfectly valid argument that the later you leave the issuing of the information, the more it suits the teams with a lot of resource." "We have found a compromise," he said. "There are regulations coming out which would mean new entrants will get support from existing entrants. There will be components and technology that will have to be shared if it is requested." F1's new owners Liberty Media have said they want to restructure the prize money system to make it more equitable, and to reduce costs by imposing a budget cap. Teams have been saying the budget cap is likely to be delayed until 2022 or even 2023, but Brawn said F1 was "on schedule" to introduce one in 2021. 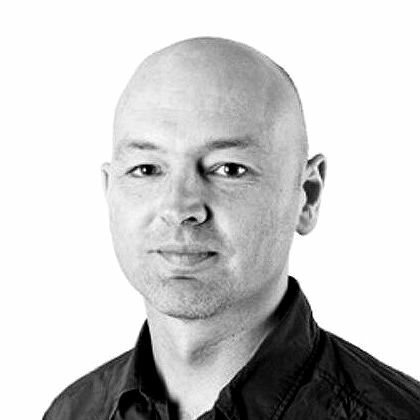 "The fairer distribution [of revenues] among the teams is balanced out by the reduction in costs particularly by the big teams, so their bottom lines will be improved," Brawn said. However, agreement has not been reached on this point and insiders describe discussions over 2021 - including the chassis and engine rules, and issues of revenue distribution and cost control - as "an ongoing process".